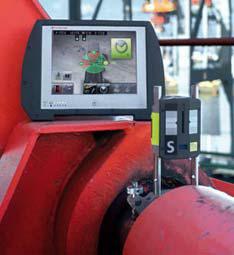 With the Fixturlaser NXA Ultimate you can measure any kind of angle that you have a need to on all types and configurations of machinery. The Ultimate version of the fixturlaser NXA comes with all the shaft alignment applications as well as all the easy to use geometric applications. It really is the ultimate Laser measurement tool. 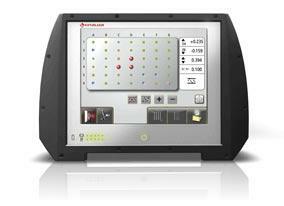 This one tool is capable of all the different Laser measurements. With a full set of shaft alignment and geometry applications installed in the NXA Ultimate, owners have the opportunity to maximise and safeguard all their production equipment's operational conditions. The speed and ease of use allows the carrying out of regular preventive maintenance checks. Easily and accurately set up installations of new machinery with complete confidence in the readings. The Fixturlaser NXA Ultimate does it all with aplomb. If machine foundations need to be checked for any flatness errors before the machine is installed, use the flatness application. If once installed the machine’s alignment needs to be accurately measured, use the included flatness or shaft alignment applications. With everything proven to be perfectly aligned, you can rest assured that you have done everything to ensure the machinery alignment is correct to give it the best chance of operating at it's optimal conditions.